Parker out-pointed big Romanian Razvan Cojanu in south Auckland in a frustrating first defence of his WBO world heavyweight title. The judges scored it 119-108, 117-110, 117-110 in a fight where Parker couldn't find the knockout blow. 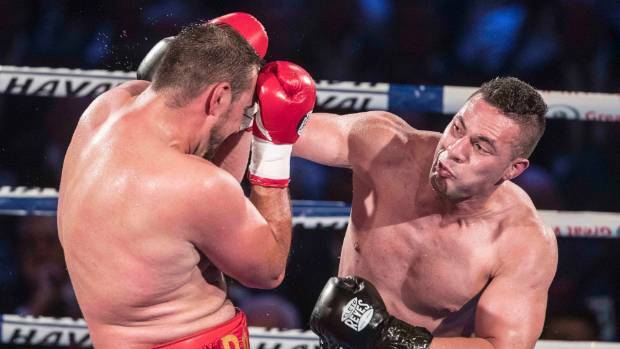 Parker out-boxed the big Romanian to win his first defence of the belt in Manukau on Saturday night. The Romanian heavyweight didn't take kindly to questions about Parker v Anthony Joshua. Do Not Feed Birds Bread!! !